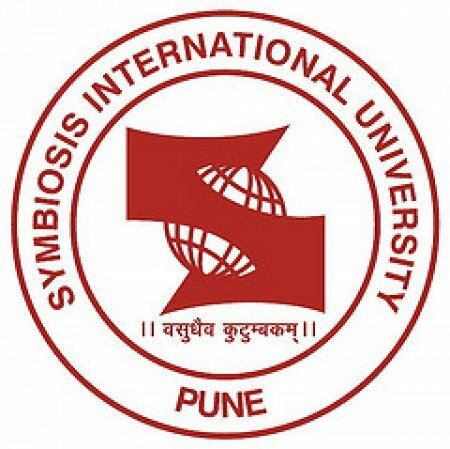 Symbiosis University: One of the most known universities in India. Symbiosis University is successful in providing quality professional courses in management for about 40 years. SNAP is conducted by Symbiosis every year in order to provide Postgraduate courses which will be based on the score obtained in the test. SNAP: SNAP stands for the Symbiosis National Aptitude Test which is a common written test and is conducted by the Symbiosis University, Pune. Students who are seeking admissions to postgraduate programmes can take up this test. This exam is held annually in the month of December and the cut-offs will be released every year. Marking scheme: Every incorrect answer will lead to a negative marking of 1/4th i.e, 25% of the marks allocated to that particular question. Admission: Shortlisted students of SNAP 2019 will be eligible for the final selection process. The selection process will be done in 3 rounds i.e, Group Exercise, Personal Interview and Writing Ability Test. Application Form: SNAP 2019 Registration will begin in August 2nd week 2019 and the last date of submission will be November 4th week 2019. Age factor: No restriction of age for SNAP 2019 examination. Qualification: General category - Graduated students with an aggregate of 50% marks. Reserved category - Graduated students with an aggregate of 45% marks. Read more about SNAP 2019 Eligibility Criteria. Subjects involved: General English: Reading Comprehension, Verbal Reasoning, Verbal Ability. Quantitative Ability: Quantitative, Data Interpretation and Data Sufficiency. Current Affairs: General Awareness. Analytical and logical reasoning. Read more about SNAP 2019 Syllabus. General English: Reading Comprehension, Verbal Reasoning, Verbal Ability. Quantitative Ability: Quantitative, Data Interpretation and Data Sufficiency. Duration of the exam: 2 hours. A process of the selection: Shortlisted candidates will have to attend Group exercise, Personal Interaction, and the Writing Ability Test for the final selection/ admission. Read more about SNAP 2019 Exam Pattern. Application: The application form for SNAP 2019 will be released on the official website. How to apply: The interested candidates are supposed to visit the official website and register themselves with a valid ID and Password. Read more about SNAP 2019 Registration. Location: SNAP 2019 exam centers will be located in various cities throughout the various states of India. Read more about SNAP 2019 Exam Centers. Availability: SNAP Admit card 2019 will be released on the official website by SIU. How to download: In order to download the admit card, the candidates have to visit the official website and log in with their registered SNAP 2019 ID and Password. Read more about SNAP 2019 Admit Card. Announcement: SNAP 2019 result will be announced on the 4th week of December 2019. How to check: In order to check the results, the candidates have to visit the official website and log in with their registered SNAP 2019 ID and Password. Read more about SNAP 2019 Results. The candidates need to qualify the SNAP 2019 Cut Off to qualify the SNAP exam and advance to the next stage of the selection. The Cut off is determined by the factors like number of appearing candidates, difficulty of the paper etc. For more information like SNAP Cut Off 2018, feel free to check the SNAP 2019 Cut Off section. Candidates have to fill their own choice of seats during the counselling process. Read more about SNAP 2019 Counselling. Q: What is the marking scheme of SNAP? Every correct will be awarded one mark and 0.25 mark will be deducted for every incorrect answer. Q: What is the application form fee for SNAP? The application form fee of SNAP will be INR 1750 which can be paid through any of the online payment methods. It can also be paid using DD. Q: When is SNAP conducted? The exam is conducted once a year in the month of December. Q: Should a candidate pay the institution registration fee? Yes. Shortlisted candidates have to pay the institution registration fee for every institution they apply for. No. The registration fee is non-refundable. Q: Is the application process of SNAP same for the Foreign Nationals? No. The application process for the Foreign nationals is different from the process for Indian nationals. Q: Does the university follow reservation policy? Yes. The university follows reservation policy as stated by the government of India. Q: Is there any age limit set as the criteria for the candidates to apply for SNAP? No. Age limit is not set as the criteria to admit the candidate into the university. Q: What is the minimum qualification required to be eligible for SNAP? Candidates belonging to General category must have secured 50% aggregate in their Bachelor's degree. Reserved category candidates need to have secured 45% aggregate in their Bachelor's degree. Q: What is the process followed to admit the candidate into the university through SNAP? Candidates should have acquired required cut-off in the entrance exam. Based on the performance of the candidate in Group Discussion, Personal Interview and Writing ability, the candidates will be admitted into the university. Q: Will a duplicate admit card for SNAP be provided to the candidate if the original card is lost? No. Duplicate admit card will not be provided to the candidates if the original card is lost. Admit card of the candidates can be downloaded from the official website of the university. It will contain a detailed description of the exam center. Application Process: SNAP 2019 Registration will start from 10th August 2019. Candidates should remember to apply before 24th November 2019 as it is the last date to apply for SNAP 2019. Application Fee: Candidates can pay for SNAP exam as soon as they register and until 25th of November 2019. Results: Results for SNAP Examination will be released on 28th December 2019. List of shortlisted candidates for GD and PI will be available by the third week of January 2019. General Category: Candidates have secured a minimum aggregate of 50% marks in graduation. Reserved Candidates: Candidates must have secured a minimum aggregate of 45% marks in graduation. Nationality: Candidates failing under Non-residential of Indian (NRI)/Overseas Citizen of India (OCI)/Person of Indian Origin (PIO)/Foreign Nation (FN) can also apply for SNAP 2019. Website: Candidates have to visit the official website of the university to register for SNAP 2019. Details: The next step is to fill the registration form and provide Personal, Education Qualification and Contact Details. Photograph: Now candidates will have to upload their Passport Size photograph. Foreign Candidates: SNAP 2019 also allows applications from candidates belonging to Foreign candidates. However, the registration and Admission process of an International candidate is different than the regular procedure. Registration: Candidates need to follow two steps. First, they should register for SNAP test 2019. Second, they must also register for the GE-PIWAT process. Application Form: Registration for SNAP 2019 will be opened every year in the month of August. SNAP exam is conducted in the month of December. SNAP Application fee: Candidates can pay the fee by using the following way: Online Debit/ Credit Card, Net Banking, Demand draft from any nationalized bank in favor of “Symbiosis Test Secretariat” payable at Pune. Non-refundable: During the time of SNAP 2019 registration process, the candidates are required to pay a non-refundable registration fee. Admit Card: The candidates have to carry the admit card during the examination process. Hall Ticket: The hall ticket is the admit card of SNAP 2019. Signed by the invigilator: The admit card has to be signed by the invigilator. Identity Proof: Candidates have to carry their identity proof when appearing for the exam. Only Original: In case admit card is misplaced, candidates are not provided with the duplicate admit card. Step 2: Then click on the "Download Admit Card" tab. Step 3: Then fill the details like the SNAP Test ID and Password to download the admit card. Step 4: Then download the admit card. SNAP Exam Paper has four sections with a duration of 2 hours to answer a total of 150 questions. SNAP exam paper is valued at 180 Marks. Aptitude: Quantitative, Data Interpretation & Data Sufficiency - 40 Marks. Subjects: SNAP 2019 will assess the candidate's knowledge of Quantitative Ability, Reasoning, English and General Awareness. Quantitative Ability: Geometry, Ratios and Proportion, Percentages, In-equations, Quadratic and linear equations, Number system, HCF & LCM, Geometric Progression, Complex numbers Etc. Reasoning: Identifying Strong arguments and Weak arguments, Statements, and conclusions, Cause & Effect, Data Interpretation based on text, graphs, and tables, Graphs can be Column graphs, Bar Graphs, Line charts, Pie Chart, Graphs representing Area, Venn diagram, etc. General English: Comprehension of passage (Poems can also come), Verbal Reasoning, Sentence Correction, Foreign language words used in English, Sentence completion, etc. Declaration: SIU will declare the results for SNAP 2019 on 28th December 2019. How to Check: Candidates will be required to log on to the official website and log in to their SNAP 2019 Account using the registered ID and Password to access and download the result. The scorecard or the result of SNAP 2019 will be accepted by all the institutes affiliated to SIU. The institutes which accept the results of SNAP are mentioned as follows: SIBM Pune, SICSR, SIMC Pune, SIIB, SCMHRD, SIMS, SITM, SCIT, SIOM Nashik, SIHS, SIBM Bengaluru, SSMC Bengaluru, SSBF, SIBM Hyderabad. Date: Candidates must be physically present at the time of counselling which is supposed to start from 26th January 2020. Documents: Candidates are requested to carry all the original certificates and two sets of attested photocopies of the certificates in the counselling session as the documents will be verified. The seats will be allotted by the examination authority after the document verification process is complete and satisfactory. Eligibility criteria for getting admission is that one should have written any management exam viz CAT, CMAT, XAT, SNAP, AMCAT and should score at least 50% in those exams. I got admission on the basis of XAT with 72% and followed by a Personal Interview from one of the directors of VBS. If you have the right attitude towards learning, you will get admission easily. Took SNAP test for Symbiosis and scored 89%ile Reasons for choosing this college -1. Symbiosis Brand Name 2. Very affordable (250% ROI)3. Good Placement record 4. Situated in the heart of Pune, also happens to be my hometown. SNAP test is the admission test taken, 50% in graduation is the cutoffs and requires Science background. Eligibility is SNAP entrance exam. Only fresher are eligible for this course. The entrance exam is SNAP. SNAP cut off is 90 percentile. 50% marks throughout, till graduation. SNAP is the entrance exam and 75%ile is the cutoff. SCMHRD takes SNAP scores for admission. The cut off for the year 2015 was 96% with 87 marks in the exam. After clearing the SNAP score, there is a WAT and GDPI process, clearing which you get admission in the SCMHRD. The weight age is given to the SNAP score is 50, 20 for WAT, 10 for GD, 20 for PI. The results get declared in March and course commences form June. Eligibility criteria: Graduation average 60% Entrance exam, Interview, Writing skills. Symbiosis Institute of Business Management, Pune is one of the top 15 business management institutes of India. The eligibility criteria are 55℅ or above in 10th grade, 12th-grade, and graduation. The entrance exam for SIBM is SNAP in which the general cut-off is around 98%. It is one of the toughest exams. After getting shortlisted, SIBM calls students on its campus for essay, GD and PIs. GDs are not normal as it includes role playing. Most important thing about SIBM is one needs to select specialization in the first year only so that one can focus on it. The eligibility criteria was different entrance tests like CAT,MAT etc. I gave MAT entrance exam and after that admission to this college was through Interview and GD. I took exams like CAT,MAT,IBSAT,XAT,SNAP entrance exams. The cut off for this institute was 70% in MAT exam. How much should I score in SNAP to get admission in Symbiosis? If you can score above 98 percentile in SNAP 2018, then you have a very good chance to get a call from any of the colleges. All the institutes which accept SNAP scores have their individual percentile cut-offs. To know more about expected cut off this year, click here. Do I need to give SNAP For mass communication? Do I need to apply for SNAP test to pursue mass communication from Symbiosis Institute? Are the application forms out yet? No, the test conducted for Mass Communication is MA in Mass Communication. SNAP 2018 Application Forms will be out ion 10th August. To know more about important dates, click here. Does the Unversity offer any other course other than MBA? Yes, the University offers other courses apart from MBA. You can refer to the Official website for more information on the same. (http://www.snaptest.org/symbiosis-entrance-exam-for-mba.html). How many academic institutions does the university have? The Symbiosis University comprises of 44 academic institutions. What are the courses offered by the colleges for which SNAP is OBLIGATORY? Does the university offer an MBA course in Communication Management? Yes, the Symbiosis Institute of Media & Communication, Pune (SIMC) offers an MBA course in Communication Management. How many times is the SNAP exam conducted every year? The SNAP exam is conducted once in a year in the month of December. Does the university offer an MBA course in Infrastructure Management? Yes, the Symbiosis Centre for Management and Human Resources Development (SCMHRD) offers an MBA course in Infrastructure Management. How many times is the SNAP exam conducted? The SNAP exam is conducted every year in the month of December. Why is the SNAP exam conducted? The SNAP exam is conducted for applicants seeking admission to the management courses such as MBA.